To Convert or Not To Convert; How Does a Roth IRA Conversion Affect Student Aid? I am retired with no income from employment and a moderate amount of investment income, $20,000 to $30,000 a year. I am contemplating a partial conversion from my traditional IRA to a Roth IRA. Such conversion is included in my adjusted gross income, but is not really spendable income to support my son's education. If I make such a conversion, would this adversely impact our eligibility for financial aid for my son's college education? For example if I do a $200,000 conversion that might move my AGI from $30,000 to $230,000. Do I need to avoid making Roth IRA conversions until my son graduates from college? I am 60 and my son is a high school sophomore. If I wait until he graduates from college, I will be age 67 and at that point a Roth IRA conversion makes little sense. — Allan J. Since January 1, 2010, taxpayers have been able to convert a traditional IRA into a Roth IRA regardless of income or tax-filing status. Previously, Roth IRA conversions were restricted to taxpayers with income under $100,000 and taxpayers who filed federal income tax returns as married filing separately were also ineligible. The main differences between a traditional IRA and a Roth IRA concern the contributions and the distributions. Contributions to a traditional IRA are made with before-tax dollars, while contributions to a Roth IRA are made with after-tax dollars. Distributions from a traditional IRA are taxable, while distributions from a Roth IRA are not. (Note that distributions from a Roth IRA are tax free only if the taxpayer is over age 59 1/2 and the account has been open for at least five years.) 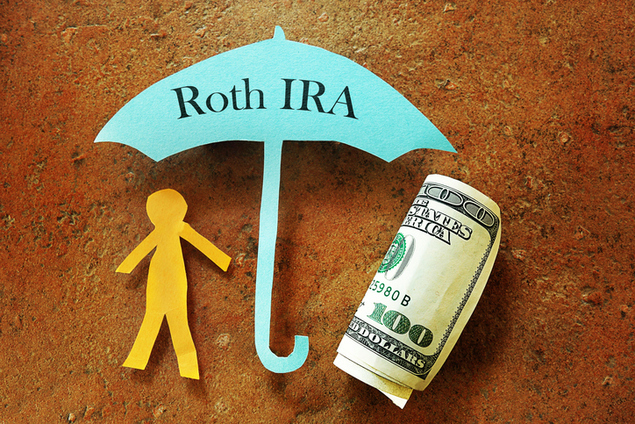 Converting part of a traditional IRA to a Roth IRA can provide a hedge against tax increases. If the taxpayer's tax rate will increase in retirement, a conversion can save money. Odds are likely that Congress will increase taxes (or reduce tax breaks) in the future, given the record budget deficits. The Bush Administration tax cuts account for more than 40% of the budget deficit, making it likely that some of these tax cuts will not be extended beyond their expiration in 2012. "One recent phenomenon that artificially increases income with potentially adverse impact on the financial aid applicant is the Roth IRA. Students from families who transfer funds from regular IRA accounts to Roth IRA accounts will typically see their taxable incomes increase, and this increase will reduce their eligibility for federal student assistance. Yet, these increases are on paper only - these families do not have additional income available for meeting educational expenses. Again, financial aid personnel are encouraged to review these cases individually and, where warranted, use their professional judgment authority to reduce applicable family income and taxes to the levels that would have applied without the Roth transfers." If the Roth IRA conversion will affect eligibility for the education tax benefits or other tax benefits, the taxpayer could make smaller partial conversions over several years instead of all at once. This may also save money by keeping more of the income from the conversion in a lower tax bracket. But reducing the tax liability too much can also be problematic. The taxpayer should ensure that there is enough tax liability to offset the tax credit, since the Lifetime Learning tax credit is not refundable and the Hope Scholarship tax credit is partially refundable. Only 40% of the Hope Scholarship tax credit is refundable. To get the full $2,500 Hope Scholarship tax credit, instead of just $1,000, the taxpayer's tax liability must exceed the amount of the tax credit.